. 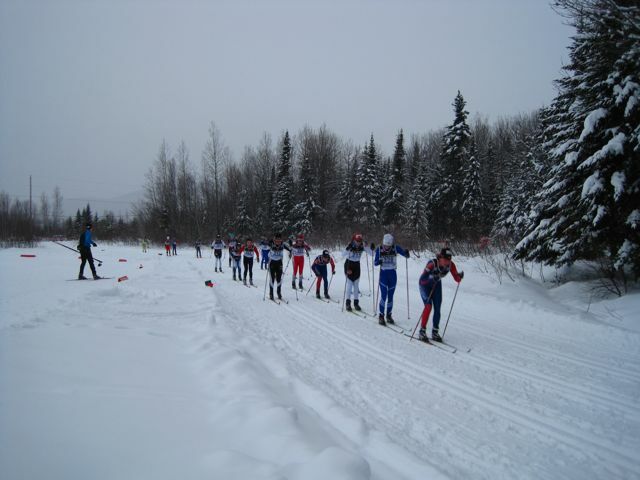 : Valcartier, QC: Haywood Noram-Mass Start Pursuit :: Ski XCOttawa.ca :: Skiing in Ottawa and Gatineau Park :. 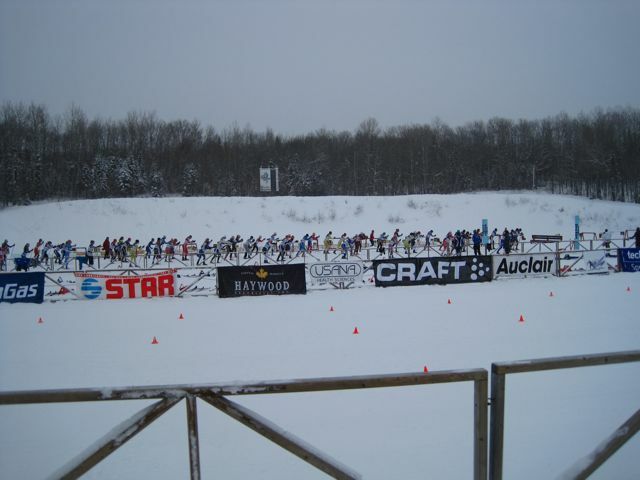 The pursuit race in Val Cartier, QC was the first race of the Canada Cup weekend and U23 / World Junior Trials. There were over 60 racers in each category from all over Canada. XC Ottawa seemed to have a pretty successful day with only a few mistakes. The course was loops of 2.5kms so 12 laps for the open men (30km) and 6 laps for the open women (15km). Karl liked the course so much he did an extra lap! Megan led the XC Ottawa women finishing 8th, following close behind were Sheila (11th) and Alana (14th). Anna finished 33rd and looked pretty solid after working all Christmas holidays. Even though Karl did an extra lap he still managed to come 29th, next time he just needs to work on his counting. Justin and Matthias who were also in the open men finished 42nd and 35th. In the junior categories Colin fought his way the 14th and following was Kyle and Lee with 31st and 46th while Danielle was 44th. Steffan Loyd of Nakkertok cleaned up in the Junior Men's race, winning by 25 seconds, which puts in good position to make the World Junior team. Other notable Ottawa area finishes were Patrick Stewart-Jones who finished 3rd in Junior Men, Kate Brennan who was 3rd in U23 Women, Katherine and Emilie Stewart-Jones were 2nd and 3rd in Juvenile Girls and Alexis Turgeon, Dominique Moncion-Groulx, Simon Lapointe and Ezekiel Williams swept the top four in Juvenile Boys. XC Local: XCZone.tv Free Movie Screening at Camp Fortune: "Unlimited" - Oct. 7th!